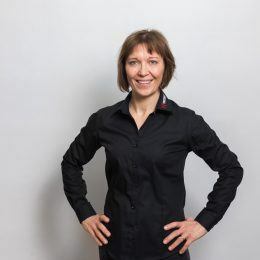 Next week Firstbeat is attending the Wearable Technologies Conference 2018 in San Francisco and our CEO and co-Founder Joni Kettunen, Ph.D., will give a presentation on predictive physiological analytics and wearables influence on health. So, what are predictive analytics? Simply put, they predict future outcomes by analyzing real-time and historical data. The practice combines many techniques like statistics, modeling, machine learning and artificial intelligence to predict trends and behavior patterns. It goes beyond “what has happened” or “what is going on” to “what will probably happen”. And now comes the important part: if you know what will probably happen in the future, it is easier to change the predicted future based on your own decisions. This is what Firstbeat analytics is all about. Firstbeat decodes your heartbeat data to describe what is happening in your body, what will likely happen… and how you can affect it. The future of your body is in your own hands but a little help doesn’t hurt. With scientifically validated insight into your own stress, recovery and fitness you can make better decisions for your well-being. 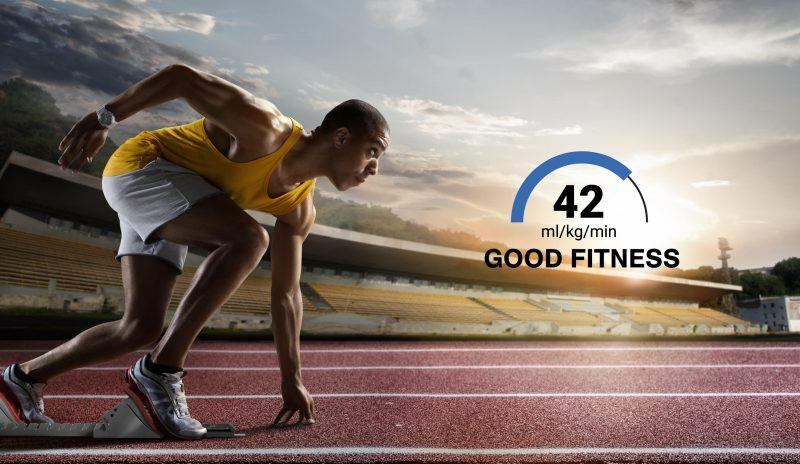 How does Firstbeat’s predictive analytics work for your good? It is all in how your heart beats from one moment to the next. Firstbeat collects and analyzes your heart rate and heart rate variability (HRV) data and transforms it into a valuable information and meaningful physiological insights, like VO2max Fitness Level, that is your cardiorespiratory fitness, or Sleep Quality Assessment, which reveals the restorative power of your sleep. The Firstbeat analytics engine doesn’t just assess your current situation but is also designed to glimpse into the future. And this is where the predictive analysis comes into play. For example, Aerobic and Anaerobic Training Effect feedback relies on the ability to predict the physiological impact of a single exercise, Recovery Time Advisor looks at that same data and predicts how long it will take for your body complete the restorative and adaptive work triggered by your performance. This kind of information gives you the ability to make better decisions. Real and personally relevant data is a powerful agent for behavioral change. Read more about, how data can help as a motivational tool for well-being from our previous blog! 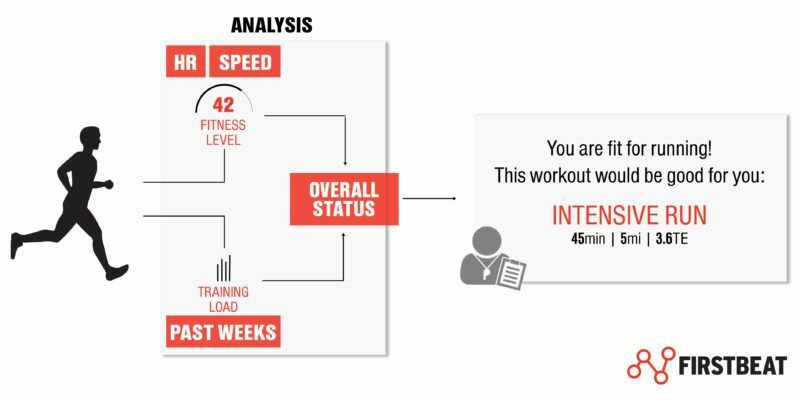 Personalized Training Plan gives you up-to-date recommendations on how to exercise based on ongoing analysis of your personal training history, physiological variables and background information. And of course, Firstbeat’ predictive analysis can help you to achieve your goals. For example, Personalized Training Plan provides up-to-date information on how to exercise and Real-Time Coaching ensures that your workout is performed safely and effectively. It tells you to “slow down” if you are going to fast and “speed up” if you are not pushing hard enough. Would you like to know your optimal bed time, predict the impacts of your stressful working day or learn the most effective stress management methods? Our analytics are not just about exercise and training. Firstbeat gives you a precious insight to your stress, recovery, sleep and overall well-being, which in turn open new possibilities to our predictive analytics. The future is created today! A powerful confluence of physiological science, advanced mathematics and wearable technology has already started to transform how people view themselves and understand their activities. Modern wearables that utilize predictive physiological analytics are like your digital personal trainers or workout buddies. They can lead you to the right path and encourage you to take care of yourself. 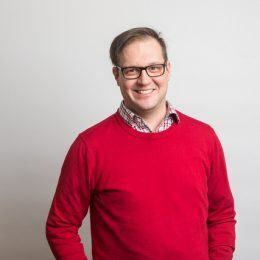 “The whole idea of wearables is to provide meaningful information, presented in a way that allows people to do something that contributes to their performance or health”, says Firstbeat co-founder and CEO Joni Kettunen, PhD. 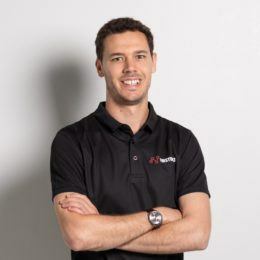 If you want to hear more about predictive physiological analysis, come and listen his presentation at Wearable Technology Conference 2018 in San Francisco on Thursday, July 12th. Maintaining motivation can be one of the most difficult things when seeking to implement lifestyle changes. That’s where data comes in. Used correctly, it can have a positive impact on every step of the journey.